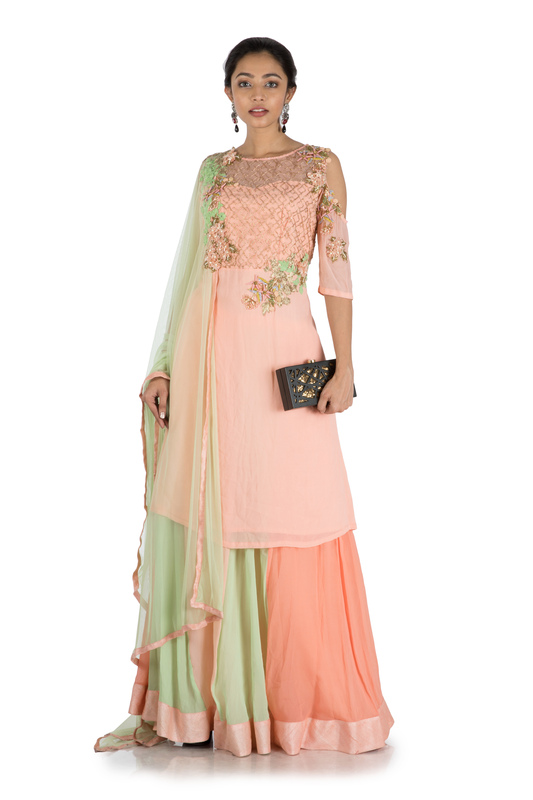 Featuring a Pastel Peach & Green Sharara Set With Attached Dupatta. 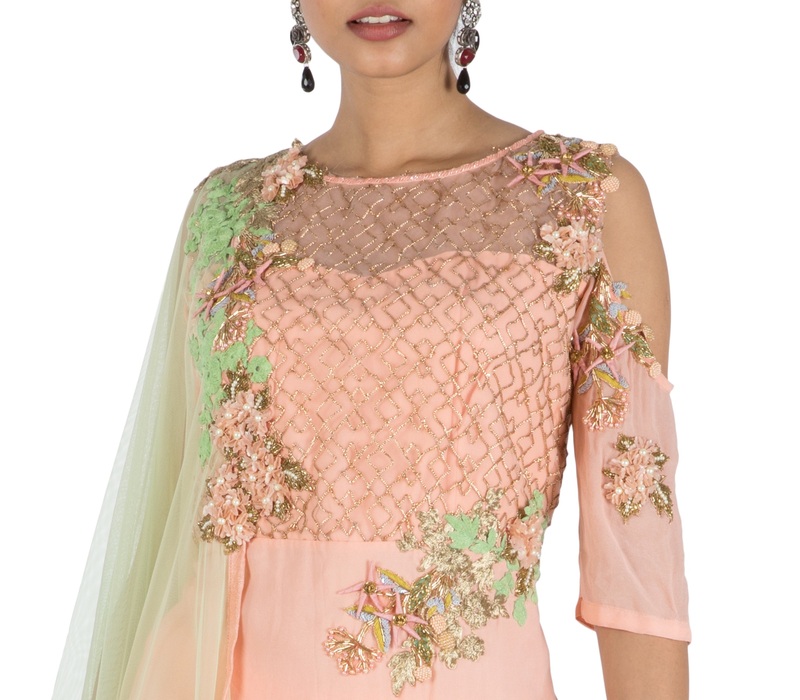 The yolk of the top is heavily embroidered using sequins work and cord flower bootas and a delicate net dupatta is attached to one side of the top. 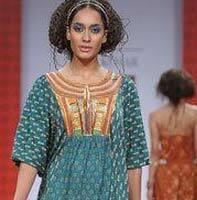 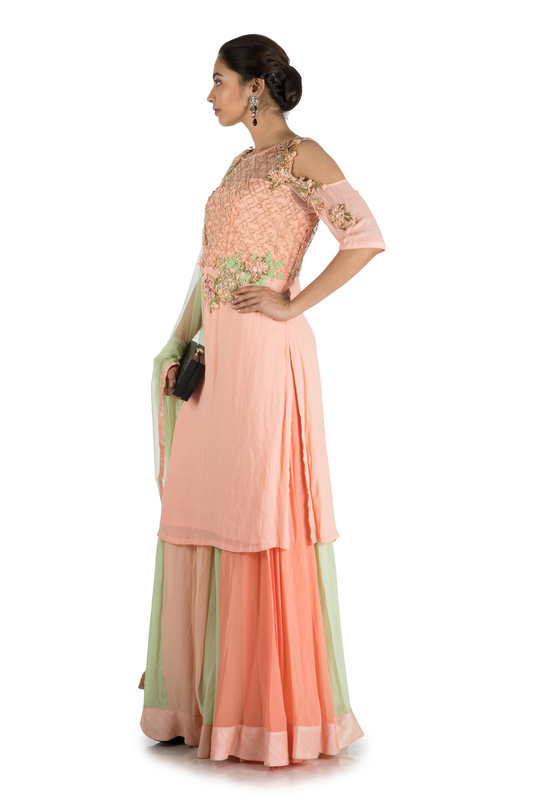 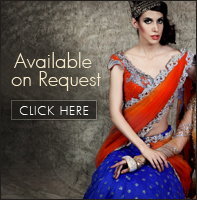 The flared sharara is given a mystical look with the use of three pastel colors.